In a way, religion is an easy target for comedians. As Christians, we must admit our own sinfulness. We set the bar high, with Jesus as an example, and we fail to live up to our standard. But by setting the bar high, we strive and do better. 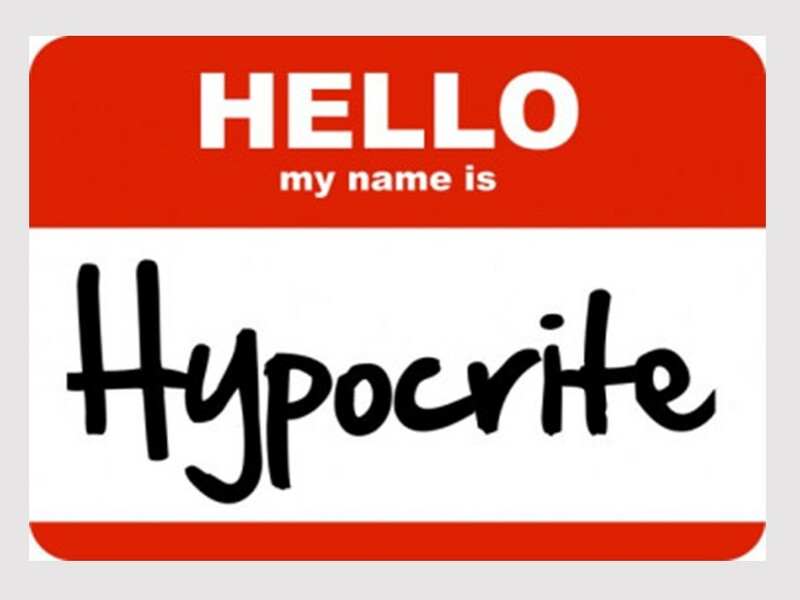 Yes, we’re all hypocritical at times, but thankfully our salvation doesn’t depend us obtaining a 100% score on our life’s test. That said, we can’t just throw up our hands and give up or say we just depend on faith and not strive to live better. Our faith must result in action. That’s James point here. Faith results in a change for the better. Much has been made, especially since Martin Luther, about how our passage today undermines our faith. Luther, who was so moved by Paul’s writings, especially from Romans and Galatians, felt that James was contradicting Paul. But that’s not the case. Paul was concerned about how faith in Christ can make us righteous before God. Paul insists that we can never be made totally righteous by ourselves. That’s only done through God in Christ Jesus. But even Paul goes on to say that we are given faith, which makes us righteous before God, in order that we might do good works! James, who is writing to the faithful, is more concerned about how we live out their lives. With Christ at the center, there should be a change as to how we act, for we live not for ourselves, but for the Lord. James begins our reading with a rhetorical question. “What good is it, my brothers and sisters, if you say you have faith but do not have works?” Although James definitely wants his readers to change their lives, he’s not trying to demean them. He places himself on their level, calling them brothers and sisters. James realizes that we all sin, that we’re in need of a Savior, but he wants us to understand that to have true faith, there must be a change in how we live. James is writing out of love and concern for fellow believers. Understand this. “James does not say, ‘If someone has faith but not works!’” Instead, James says, “If someone says they have faith, or claims to have faith. In such a case the claim to faith isn’t validated. Faith is not just talk. True faith requires action, a change in a life. You know, when asked, a very high percentage of Americans still say they are Christian. But are they in church on Sunday? Are they involved in ministries that help the poor? Do they watch what they say and make sure their words honor God? James is concerned for the Christian community (think of attending church). 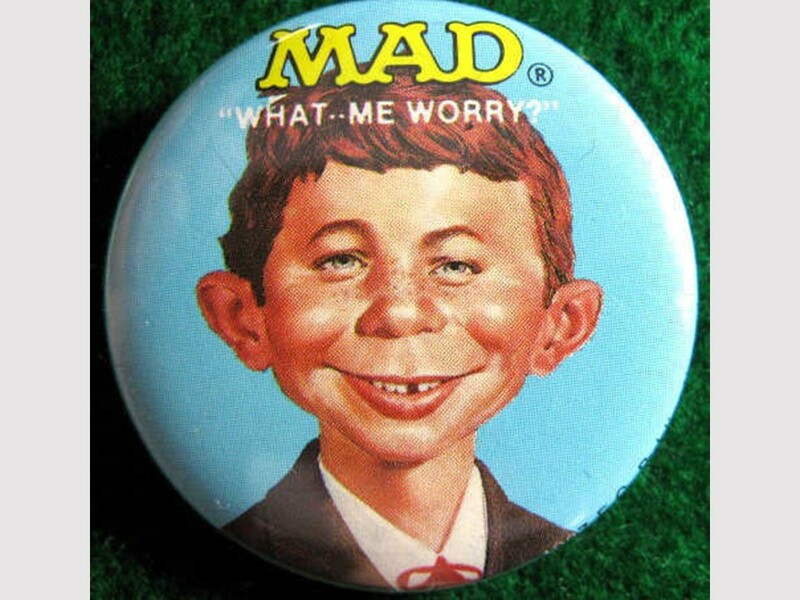 James is concerned with the care for the poor (think of helping ministries). 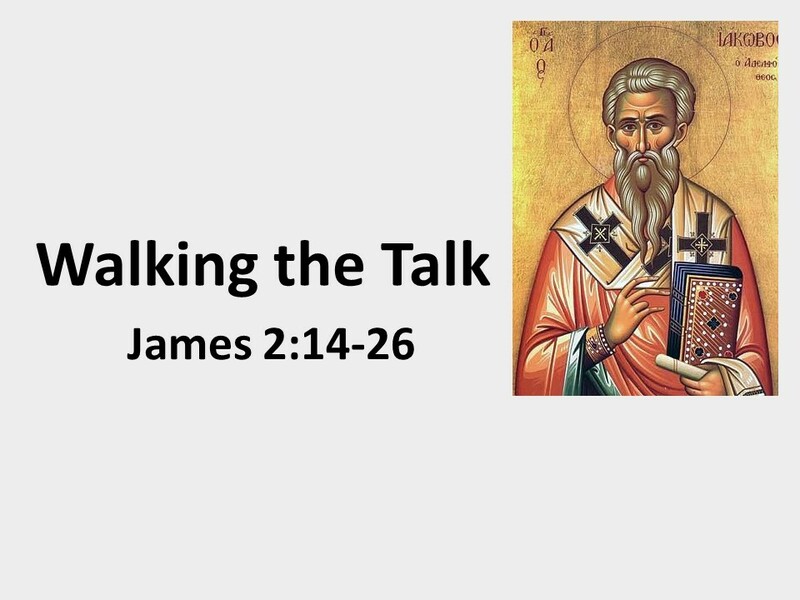 And James is also concern with our speech (think of controlling our tongues). This rhetorical question, “you say have faith but not works,” could be put to Americans who claim to be believers, but don’t walk the talk. Yet, we must be careful and not think that James’ words only apply to others. Even those of us who are inside the church struggle to live up to the standard set before us by our Savior, and we’re the ones to whom James is writing. After asking this rhetorical question, James follows a well-known Greek pattern of dialogue. He answers objections before they are raised. First, he provides two examples of what he talking about (so-called faith without works), then he gives two examples of those who have faith and how it resulted in action. 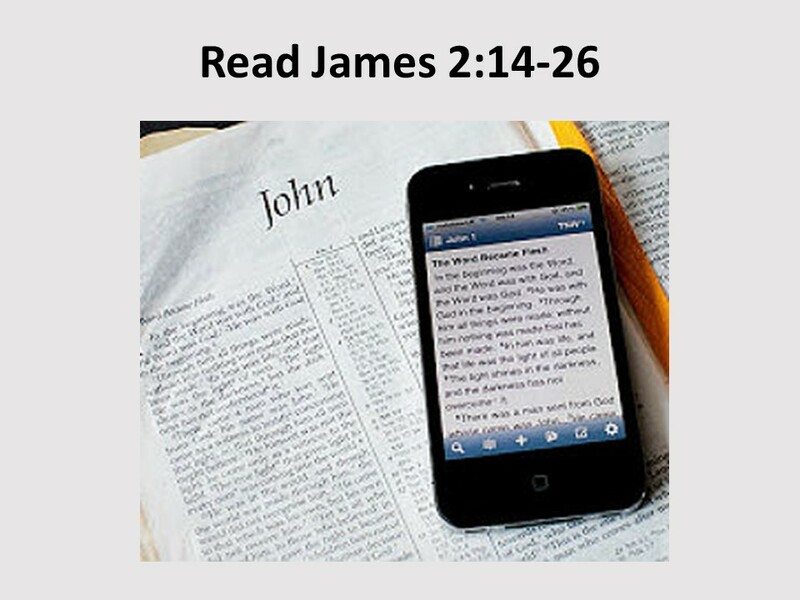 In the first example, James speaks of a brother and sister of the faith who is down and out. They’re hungry and cold and the supposedly Christian passes them by saying Shalom, offering a blessing upon them. What good is the blessing if you had a way to help? Will this build up the faith of the down-and-out brother or sister? If they’re questioning their faith, they might just decide it’s not worth their time. If we can do something for someone in need, especially someone within the fold, we need to do it. Now granted, there may be times when “tough love” is required, but even then it must be done with respect and in love. James’ second example is the person who proclaims the truth of God—that there is only one true God—and James reminds us that this isn’t enough for “even demons believe and they shutter.” This is an example where belief in God should lead us to change, for we don’t want to be a minion of Satan. To have a saving belief in God requires us to strive to be godly. 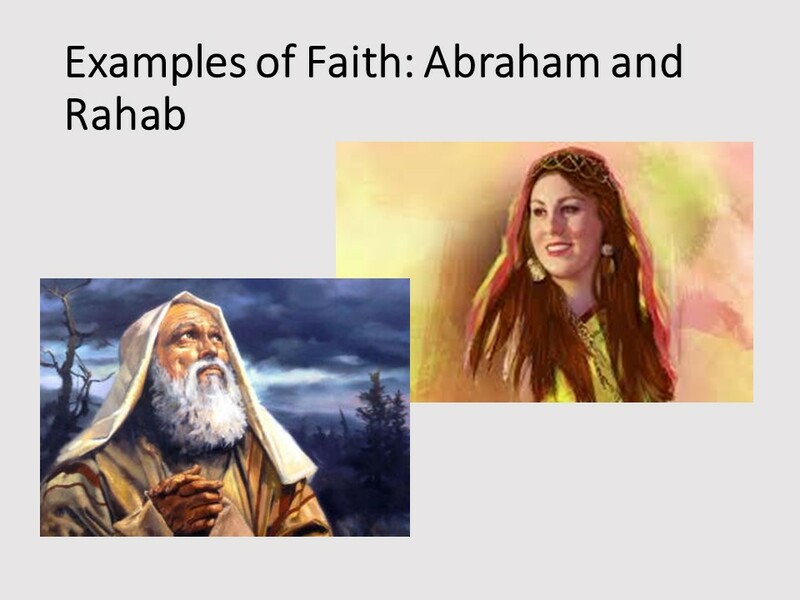 James first example of faith causing good works is Abraham’s willingness to offer Isaac up as a sacrifice. Here, I agree with Luther. I’m not sure why James used this story. Why didn’t he use the story of Abraham setting out from Ur when he was an old man? That story also shows faith resulting in actions and we avoid the problems around the possibility of child sacrifice. James’ second example is Rahab. This one causes us to stop and ponder. Rahab was a prostitute. We don’t generally think of prostitutes being “good” or doing “good works.” But Rahab had faith. She knew what the Hebrew God was up to, so she hid the spies Joshua had sent into the Promised Land. By the way, let me point out that from my experience, actions that are a result of faith almost always involve risk! Rahab, because of her occupation, would be condemned in polite company. Yet she was justified for her faith and action, and survived the conquest. Let me reiterate. When James writes about how our faith must result in actions, he is not dealing with the same issues Paul dealt with when he wrote about how through faith we are justified. Paul was writing about how we, as sinners, will be able to stand before God’s judgment throne. 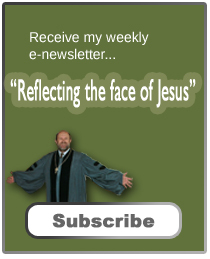 James, on the other hand, writes about how we should live out our faith in this life. It is also important for us to understand that James is interested in the well-being of the Christian community. Too often we think of our faith being private, but such ideas were foreign in the first century. We tend to individualize everything, but much of scripture is about a people who live faithfully before God. If our faith is only for our personal benefit, we got a problem. 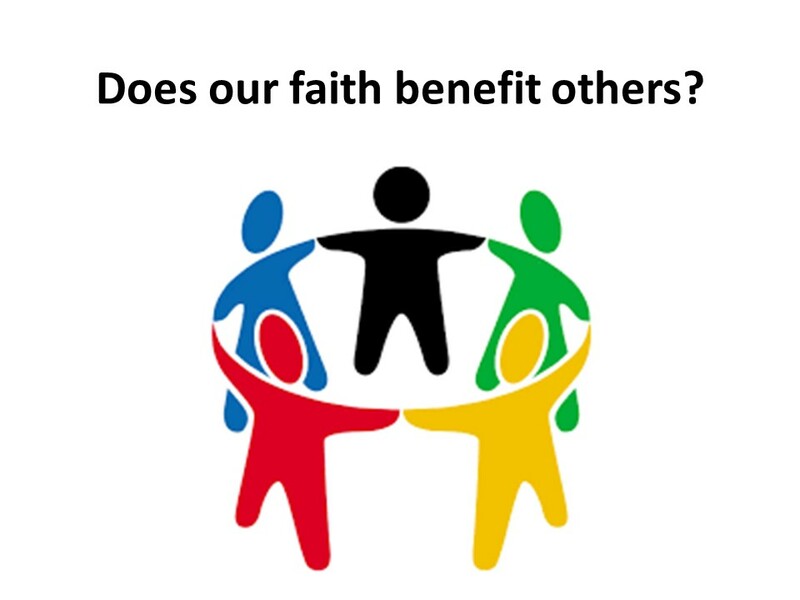 As one commentator wrote, “If our faith does not benefit others, it will not benefit you either.” What difference does your faith in Jesus mean to others? That’s a question that this passage leaves for us to ponder, and it’s a question I hope you take with you to chew on when you leave this morning. What difference does your faith in Jesus seen by others? James wraps up this section of his teaching with a proverb. Just as the body without the spirit is dead, so faith without works is also dead. With that in mind, remember the saying that I opened with? 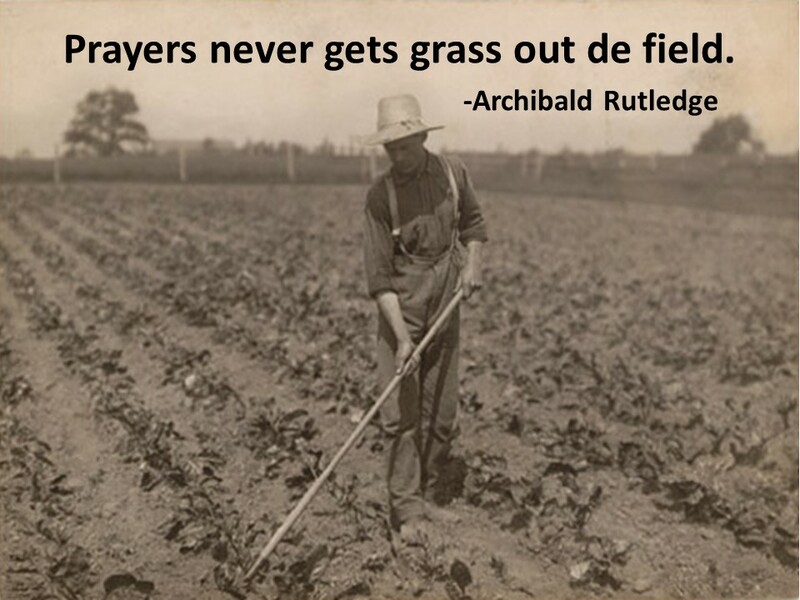 “Prayers never gets grass out de field.” Let me close with another parable that says something similar. 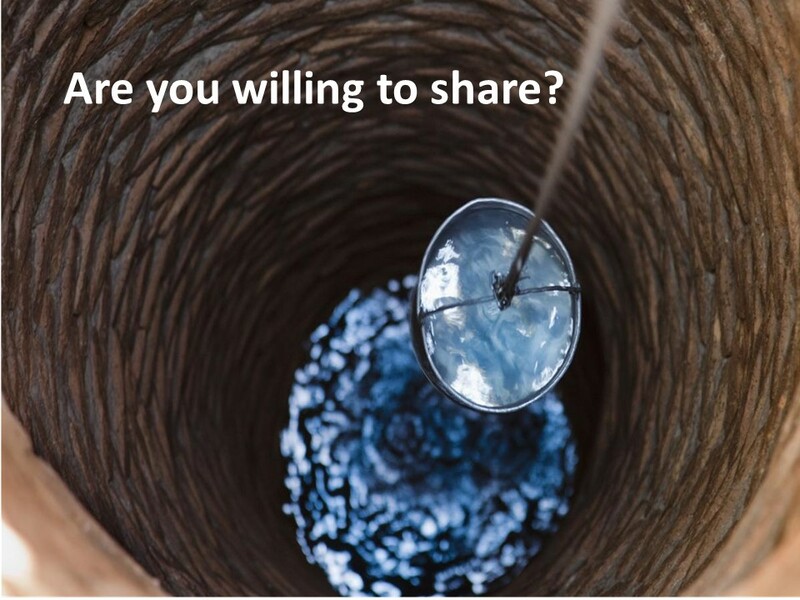 “If you dug a well, but there was no water in it, what good is that?” Friends, I hope there’s water in your well, and that you’re willing to share. Amen. Archibald Rutledge, God’s Children (1937), Kindle Edition, location 503. Carol J. Miller, Faith and Works: Galatians and James, Leader’s Guide. (Pittsburgh: Kerygma, 2012), 91. Dan G. McCartney, James: Baker Exegetical Commentary on the New Testament (Grand Rapids, MI: Baker, 2009), 155. “We should live out our faith in this life.” Amen! It’s not easy and I must admit that there are times when I have not done so. I believe at times that we get our heaven and hell on this earth. I know you won’t agree, but I can be honest with my pastor. Things these days require such an effort for me that I am lacks about attending church. That is no excuse, I know. Your messages are excellent. Thank goodness for your web site. Our church is very fortunate to have you as our pastor.